Hot sale cosmetic bag, fascinating design. Single compartoment with zip-top closure. Basic cosmetic bag for any makeup use. 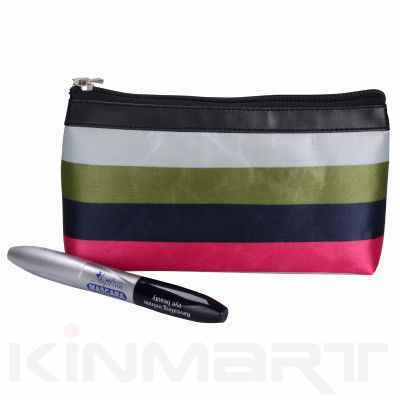 Such Cosmetic bag is handy to hold different cosmetic accessories. Cosmetic pouch for wholesale, as well as it can be personalized with different fabric, logo, and even different size. If you need to custom order this item in bulk quantity, please contact us.